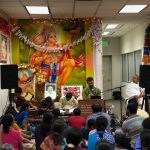 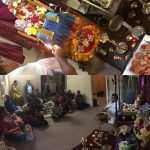 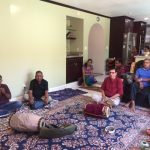 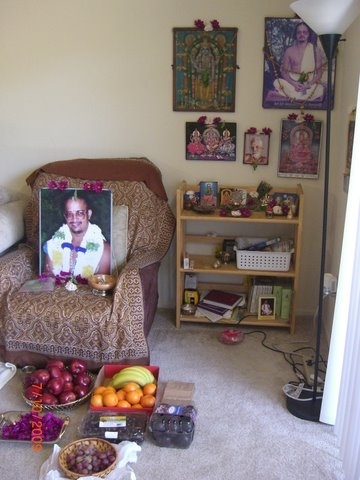 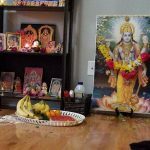 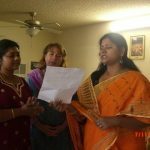 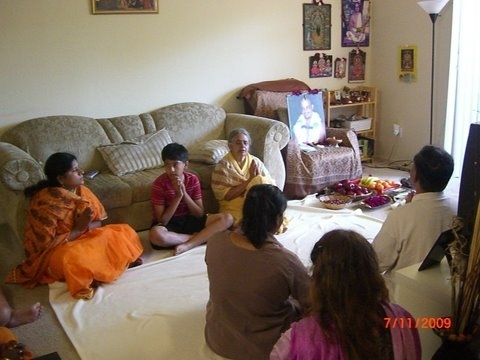 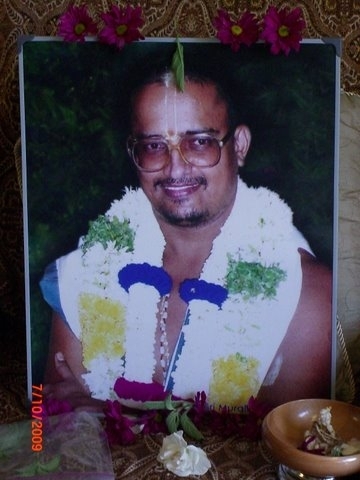 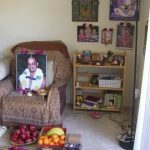 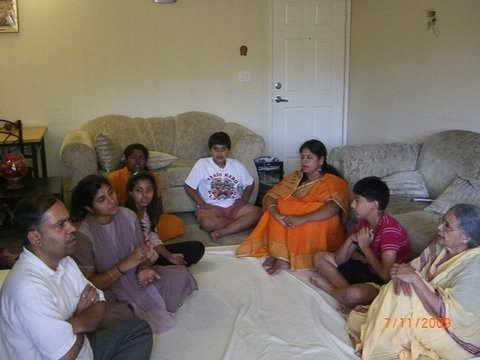 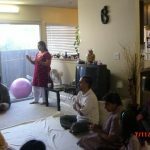 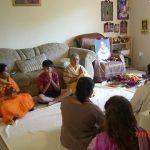 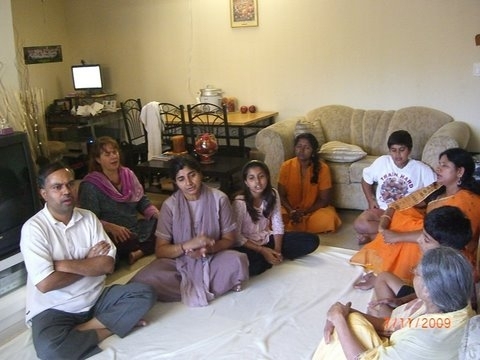 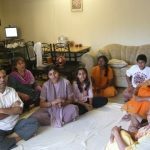 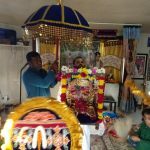 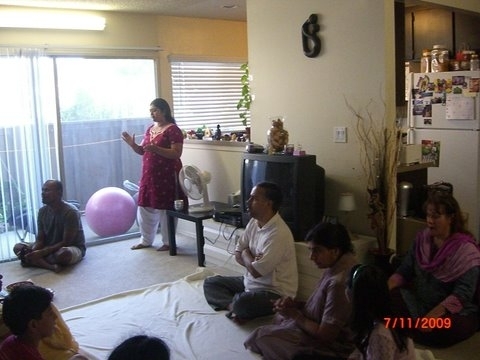 An Akhanda Nama Sankirtan from 6 am to 6 pm was performed in the residence of Sri Ramani Rajaraman in Los Angeles, CA on Saturday (July 11th) to commemorate Guru Poornima. 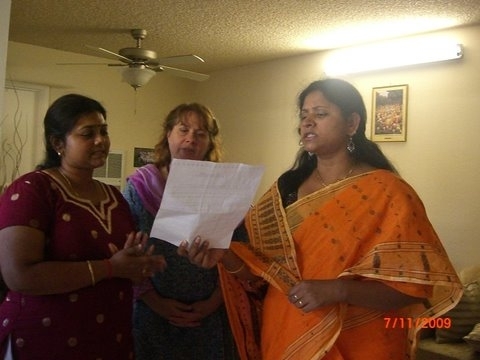 A few families from the Apartment complex participated including a Caucasian woman. 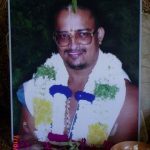 Sri Sri Swamiji’s Kaliyayum Bali Kollum kirtan was sung during the Akhanda Nama Sankirtan too.